How to become an IPS Officer? Qualification needed and its age limit? Sir tell me how i become an ips officer? Please tell me with qualification and age limit. Details regarding IPS Officer post? How to apply for it and what are the qualification needed? Job in government sector after B.Com completion? Re: How to become an IPS Officer? Qualification needed and its age limit? To be eligible for becoming an IPS officer the candidate must posses a degree from an Indian University or an equivalent qualification. Those in the final year degree course can also appear in the Preliminary Examination taken every year by UPSC. The candidate must have attained the age of 21 years on 1st august of the year of examination and must not have attained 30 years of age on that date. The upper age limit will be relaxed by 3 years for OBC candidates and 5 years for SC/St candidates. The upper age limit is also relaxed in favor of Defense Services Personnel. A graduate degree from a recognized university and its equivalent. Minimum age 21 Year and Maximum age 35 Year. 3 Year age relaxation for OBC Category Candidates. IPS is the Indian Police Service post exam which has been conducted by the UPSC department in the month of may. To become an IPS OFFICER you need to be a graduate from a recognized university and this is the educational qualification required. * 21 - 30 years of Age. * 5 years Relaxation for SC/ST students. * 3 years Relaxation for OBC students. * Minimum Age remains same for all the categories. -->>To become an IPS(Indian Police officer) you need to crack civil services exam conducted by UPSC. -->>Civil services exam is conducted for IAS,IPS,IFS posts and you need attend this exam and you need to clear this. -->>UPSC(Union Public service commission) conducts civil services exam one time a year. -->>There will be three steps of examinations conducted in civil services. -->>Preliminary exam is common for all that is in General English,General studies. -->>In main exam there will be two papers which you need to select from various options of papers.This will be descriptive in nature. -->>Then there will be a interview for those who clear both the examinations. A graduate degree in any discipline from a recognized university or equivalent. -->>Age limit is 20-33 years for general category candidates. Relaxation in upper age limit is as per central government norms. IPS stands for Indian police services.This posts basically known as the posts of S.P. The candidates passing the IPS exams becomes superintendent of police. It is one of the most prestigious jobs.All the police officers,jails,police offices of the respective districts will be supervied under this body. It means that the IPS persons are also known as SP. They are the persons who are responsible for maintaing peace and eradicate corruptions and malware practices in thier respective districts of various districts in India. The UPSC is responsible for conducting IPS exams. The educational qualification required for appearing in this exam is graduation. The degree must be recognised from any state government or from central government. The degree should be approved either from UGC or from DEC in case of distance education. The candidates who have acquired their degree from deemed universities are also eligible for giving this exams. The candidates who have passed their graduations having technical degrees will also be treated eligible for appearing in this exams. There is no questions asked regarding technical paper. The exam paper will conatins questions related to common papers. The candidates will have to choose the papers for examinatios at the time of form fill up process. However candidates belonging to reserved category will be eligible for getting age relaxation. The age relaxation given to obc candidates is 3 years. The age relaxation given to sc/st candidates is 5 years. There is also limits in appearing in this exams. Exceeding that limits the candidates will not be allowed to appear in this exams. The obc candidates are eligible for giving this examination is 7 years. The general category will get 4 years for appearing in this exams. There is no limit for sc/st candidates. IAS exams are conducted by Union public service commision. what are the physical qualifications for IPS ? Some states allow you to become a police officer at age 18. Many departments require you to be at least age 21. Some police departments do not have maximum age requirements. Some do have maximum age limits. For example, the New York State Police require you to be less than 30 when you appy. You can be less than 36 if you have served active duty in the military. Check out http://www.peaceofficerjobs.com for excellent information and advice about becoming a police officer. IPS stands for Indian Police Service: one of the most glamorous services of India. Every young with courage and heroism wanted to be an IPS officer, to punish the criminals, to protect the helpless, to save the people in distress.Who can forget the memorable IPS ACP Ajoy Singh Rathod in Aamir Khan’s Sarforosh and his fighting against the foreign terrorists. IPS is an all India service like IAS and IFS. You need have to rank well in the Indian Civil Services exam to be an IPS officer. How to be an IPS officer and what is the eligibility is not clear to most of us. Read below to find out. The minimum educational qualification of an IPS officer is Graduation (10+2+3/4) under any recognized Indian University.A plain graduation degree is enough; you need not to have first class or any minimum grade or result to be eligible.You are equally eligible to be an IPS officer if you are a Pass Graduate, i.e. without Honours.Technical students like an Engineering graduate or an MBBS pass out may appear for the exam to be an IPS officer. The minimum age requirement for General (UR) category students is 21 to 30 years. The OBC students will get 3 years age relaxation while the SC/ST students will get 5 years. IPS stands for Indian Police Services.It is conducted by UPSC through civil services in the year. IPS officer can arrest every body who did mistake even politicians and celebrities.It is not an easy exam it is a quite difficult exam.You must be graduate.If you get qualify in the Prelims then you can go for Mains exam.If you also qualify in the Mains exam then you go for direct interview. You can apply through postal services.Buy an application form from the post office. and fill your details and add your cast certificate and marks memos to the application form and post it. To become an IPS officer you need to appear for Cvil Services examination conducted by the UPSC every year. The Civil Services Examination (CSE) is conducted every year by the Union Public Service Commission (UPSC) as a common examination for recruitment to various services like the Indian Administrative Service, Indian Foreign Service and Indian Police Service, as well as Group A and Group B Central Services. The notification for the examination, (giving rules and the syllabus for all subjects included in the exam) is published in the month of November/December every year in Employment News/Rozgar Samachar and Gazette of India as well as in some Newspapers. For the Indian Police Service, the candidate must be a citizen of India. Scheduled Tribe candidates, & by 3 years for candidates of OBC. The final year degree course students can also apply for and appear in the Aptitude Test. Physically disabled categories in respect of vacancies as may be fixed by the Government from time to time. GRADUATE with the 60% from the recognized university. age for general candidates 21 to 30 years. age for ob c 21 to 33 years. age for sc/st 21 to 35 years. you should be an INDIAN. your height must be 165 cms. you want to become Indian Police Service (IPS) officer. first you have to face UPSC exam IPS conducted by UPSC exam. you have to pass your graduation with any subject. your age should not below 21 years and not more then 30 years. and age relaxation for OBC candidate is 3years and for SC/ST candidate is 5 years. the exam are divide in 4 parts. IPS Stands for Indian Police Services.It is conducted UPSC(Union Public Service Commission) through CIVIL Services in the every year.It is not an easy exam, it is a quite difficult exam.It is one of the Prestigious job in India.If you qualify in the prelims then only you are eligible for attend Mains otherwise you are not eligible for attend Mains.if you qualify in the both prelims as well as Mains then only you are eligible for attend Interview. If i graduated with 35% in pass then can i apply for ips exam......??? 1You must be at least 21 years of age at the time of filling the Civil Services (Preliminary) Exam form and not more than 30 years of age (various relaxations are available for different categories). 2.You must possess a graduate degree in any discipline of any of the Universities incorporated by an Act of Central or State legislature in India or other educational institutions established by an Act of Parliament or declared to be deemed as a University under Section 3 of the UGC Act 1956, or possess an equivalent qualification. 3.Candidates who are in the final semester or have taken their final degree exam but are awaiting the results can also appear for the IAS and IPS Preliminary examination provided they furnish their proof of degree while filling the Mains form. For these two services a candidate MUST be a citizen of India. Whereas for other services the citizens of Nepal, Bhutan, a Tibetan refugee who migrated to India after 1st January 1962, or persons of Indian origin from the countries mentioned in the notification can also apply. 2.Min Chest girth fully expanded: 84 cm for Men and 79 cm for Women. Expansion of 5 cm for Men and Women. IPS exam is conducted by the UPSC once in a year. The candidate should be complete any bachelor's degree from a recognised university. IPS officer is one of the respected and high profile post in India, some 3,00,000 brilliant mind compete for the exam every year. candidate must possess the degree from any recognized university /any equivalent degree, candidate in the final year must have to appear for preliminary exam conducted by UPSC. Candidate have to be 21 -30 years old for general category. There is three years relaxation for OBC category and five years for SC/ST. Tibetan refugee who migrate to India for permanent settlement in India before 1962. There are two examination held preliminary and finale. Once candidate through, he must have to appear for finale exam. After qualified member must Followed By interview and medical , psychological tests. IPS : INDIAN POLICE SERVICE. *The Candidate should have a minimum of Degree from a Recognized university. *The Final year students can also appear for the Prelims. *It is conducted by the UPSC every year. The Candidate should have the 21 years to 30 years at the time of exam. Relaxation is 3 years for OBC. There is a relaxation of 3 years for Defense services. The candidate should be only India. IPS stands for Indian Police service.IPS exam is conducted by UPSC in every year .This exam is conduct through Civil Service Exam . Bachelor degree from recognized university are applicable for IPS Exam.Final year student are applicable for IPS Exam. Your age should be in between 21-30 years for general candidate. The maximum attempts for Sc/ST candidate is Unlimited. For OBC candidate it is 7 years and for general candidate it will be 5 years.Also you must be citizen of India. I have listed some Books name , you should collect these books from market and prepare well for IPS Exam . IPS stands for Indian Police Service. IPS exam conducted by the UPSC once in a year. Final year graduation persuing students are also eligible. SC/ST category--> 21 years to 35 years. It is conducted by the UPSC every year. The Candidate should have a minimum of Degree from a Recognized university. The Final year students can also appear for the Prelims. You are required to apply for the Civil services examination for being an officer in Indian police services (IPS). It is conducted by UPSC and has three stages which are preliminary exam, main exam and interview. The minmum qualification required for applying in this examination is having bachelor degree in any of the discipline from an approved university. No minimum marks stated for it. There is an age limit which is to be in between 21 years to 30 years. There will be provided upper age relaxations if you are from reserved category. The IPS exam Qualification is Any degree and The Exam will Conduct in Every year in May the Exam is UPSC and totally there are three levels of exams are there first preliminary, main exam and interview. And Age Limit is 21 Years to 30 Years there upper age relaxations for the reserved categories like OBC 21 to 33 and SC/ST 21 to 35. There are actually expected membership and enrollment key elements and also the evaluation sample which in turn have to be used in order to seem to be with the Examination. you'll want achieved the era of 21 many should never meet or exceed the era of 30 a long time regarding looking for the Civil services. you'll want completed the particular Bachelors education or the University in most of the respected willpower recognized by the particular Govt of India. you have to become the homeowner of China in order to seem to be with the Civil companies examinations. They are the membership and enrollment key elements which in turn have to be used to be the particular IAS/IPS. The evaluation regarding the selection of applicants takes set up about three stages primarily many people are. To be eligible to for IPS officer the particular selection need to has a qualification from a good Native american Higher education or maybe an equivalent qualification. Those who are in one more yr education program may include the particular Preliminary Assessment utilized on a yearly basis by means of UPSC. The selection need to have achieved the era of 21 a long time upon 2nd june of the year of evaluation plus should never get achieved 30 years of age upon in which date. The top age reduce is going to be laid back by means of 36 months regarding OBC applicants plus 5 a long time regarding SC/St candidates. The top age reduce is additionally laid back in support of Immunity Services Personnel. For being qualified to receive for IPS representative the prospect must has a level coming from a great Indian native University or college and also an equivalent qualification. Individuals a final 12 months degree program could also can be purchased in the Preliminary Check-up utilized annually by simply UPSC. A prospect will need to have gained age 21 a long time about primary june of the year involving examination along with cannot get gained 30 yoa about that date. Top of the age group restrict are going to be calm by simply a couple of years to get OBC people along with 5 a long time to get SC/St candidates. Top of the age group restrict is additionally calm for Defense Providers Personnel. 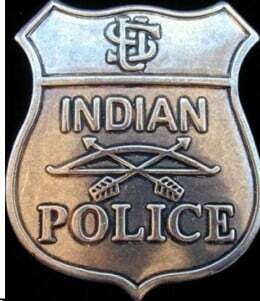 IPS signifies Indian native police services.This discussions essentially the discussions involving S.P. A people moving past the IPS examinations gets to be superintendent involving police. It can be probably the most prestigious jobs.All police officers officials,jails,police office buildings in the own zones are going to be supervied within this body. Them ensures that the IPS men and women tend to be often called SP. These are the men and women whom have the effect of maintaing tranquility along with remove corruptions along with viruses tactics around thier own zones of various zones around India. The UPSC is accountable for performing IPS exams. A helpful degree important for listed in this particular quiz can be graduation. The degree should be recognized on the express government and also coming from key government. The degree should be approved frequently coming from UGC and also coming from DEC in case of long distance education. A people with obtained the degree coming from regarded as colleges also are qualified to receive giving this exams. A people with passed the graduations having specialized levels is likewise cared for qualified to receive listed in this particular exams. You can find with no hassle pertaining to specialized paper. The test report can contains questions related to frequent papers. A people will have to opt for the papers to get examinations in the time variety fill process. To be eligible for IPS officer you should be citizen of India. If your category is general then you must have attained the age of 21 years and must not have attained the age of 30 years on 1st August 2013. Upper age limit relaxable for SCs, STs, OBCs and certain other categories as specified in UPSC Notification. For which post is an IPS aspirant allotted after clearing IPS exam and interview?